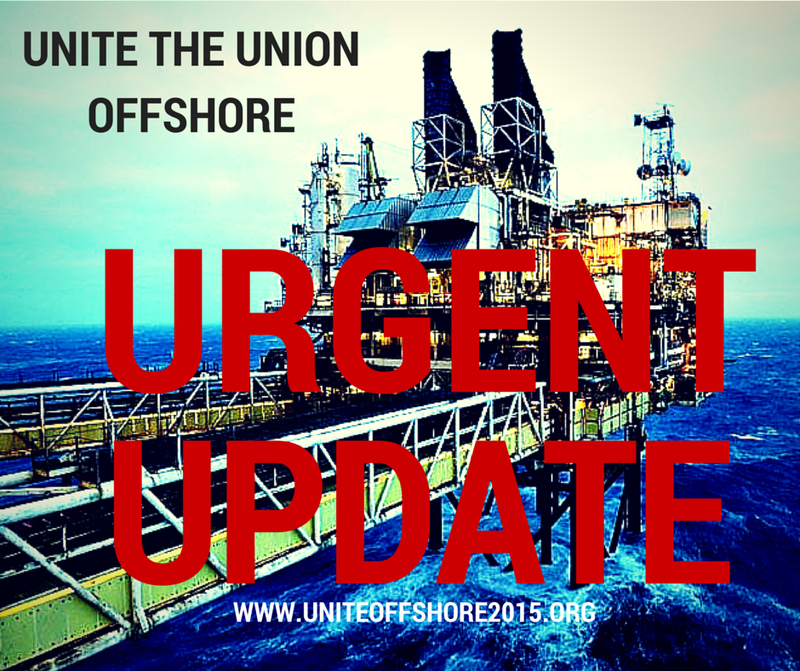 Unite has been in consultation with Odfjell over proposals to change terms and conditions. Despite Unites objection to those changes the employer has moved into formal consultation with all employees. Unite will therefore move to a consultative ballot with all our members working in Odfjell to ascertain if you find these changes acceptable or not. Consultative ballot papers with more information will be sent out to all Odfjell members and Unite urges all members to take part in the consultative ballot to ensure your view is heard. In the recent consultative ballot Unite members in COTA voted overwhelmingly in favour of industrial action and our preparations continue to build towards a lawful industrial action ballot. Unite is in the process of contacting all our members in COTA to ensure that we have the correct personal and work details. This is a vital part of ensuring we are ballot ready. The decision taken by COTA to renege on the pay deal shows a complete disrespect for our members working in COTA and there can be no economic argument made at this time to justify a cut to COTA members negotiated terms. The oil industry continues to remain in profit and recent evidence points to a resurgence in oil prices. COTA have made a conscious decision to withdraw the second year pay element of the settlement and it is poor reward for the hard work and dedication shown by COTA members. Unite is committed to protecting and improving terms and conditions including fair pay for all our offshore members. Unite continues to consult our members in OCA on the issues affecting you. We are grateful for all the evidence being supplied to us via our phone banking exercise. As previously reported we are continuing to build our information in preparation for a lawful Industrial action ballot. Offshore meetings continue to take place and these provide valuable feedback for Unite as we move forward. We want to be best-placed to challenge the changes being imposed on offshore workers in the North Sea. We want to build a picture of every single installation, to see where our strength lies. We’ve created this downloadable form and we’re asking members to speak to their colleagues to complete the picture. Following yesterday’s talks with the OCA in Aberdeen, we are very disappointed to report that despite giving the OCA every opportunity to negotiate with the union, we have been left with no option but to seek a mandate for lawful industrial action from you to continue our fight for workers’ rights offshore. You have already given us a mandate to conduct this ballot, following the results of the consultative exercise in March. Although the OCA has stated that the move to equal time rotation represents a need to make the North Sea “attractive to investment”, it is our opinion that it is the workforce that needs investment and our collective future should be subject to negotiation – not imposition. We know that you are working at full capacity. Your livelihoods cannot and should not be subject to the fluctuations in the price of oil. Through our phone consultation with every Unite member under the OCA, you have repeatedly raised serious potential safety breaches that will be worsened by a move to 3:3. The OCA states that it is concerned about any actions that would “jeopardise the future of the North Sea industry”. Our members have frequently told us that the only action jeopardising their future is the imposition of a 21-day shift pattern. North Sea oil industry. The changes to holidays and shift rotas also represent a threat to your health and work-life balance. Although these changes did include some improved holiday and sick pay and a confirmation of payment for extra days worked under the new rotas for the hourly paid workers, we believe being paid for extra days is no concession as obviously people expect to be paid for extra time worked. We are extremely disappointed that the talks have not been able to progress to a settlement and we hope that the OCA will reconsider this course of action. Unite has acted in good faith during the negotiations and suspended ballot preparations to allow a dialogue to take place, in the hope that it would be fruitful. However, we have been left with no option but to seek a further mandate from you, our members, in the OCA for industrial action. You will decide the path that Unite takes in this dispute and as such we are urging our members to contact us as soon as they possibly can to ensure that we are fully prepared for an industrial action ballot. We are in the process of contacting all of our members offshore and ensuring that details for every member are up to date. 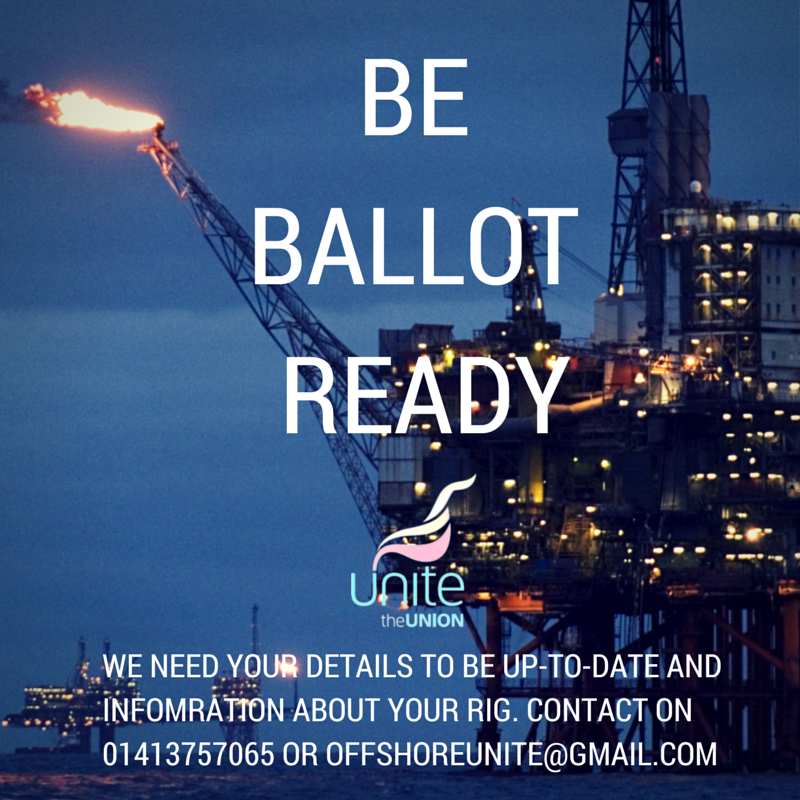 We need you to be ‘ballot ready’ in order to have a successful campaign to defend your future in the North Sea. I will be in touch again soon to further update you as matters develop. In the meantime please do all you can to spread the word among your colleagues that workers are stronger when they stand together in their trade union. 99% of offshore workers who responded to our survey say that changes to shift patterns, pay and holidays by the oil companies are unfair. 82% of COTA Unite members in the consultative ballot and 93.5% in the OCA wish to move forward with a ballot for full industrial action. 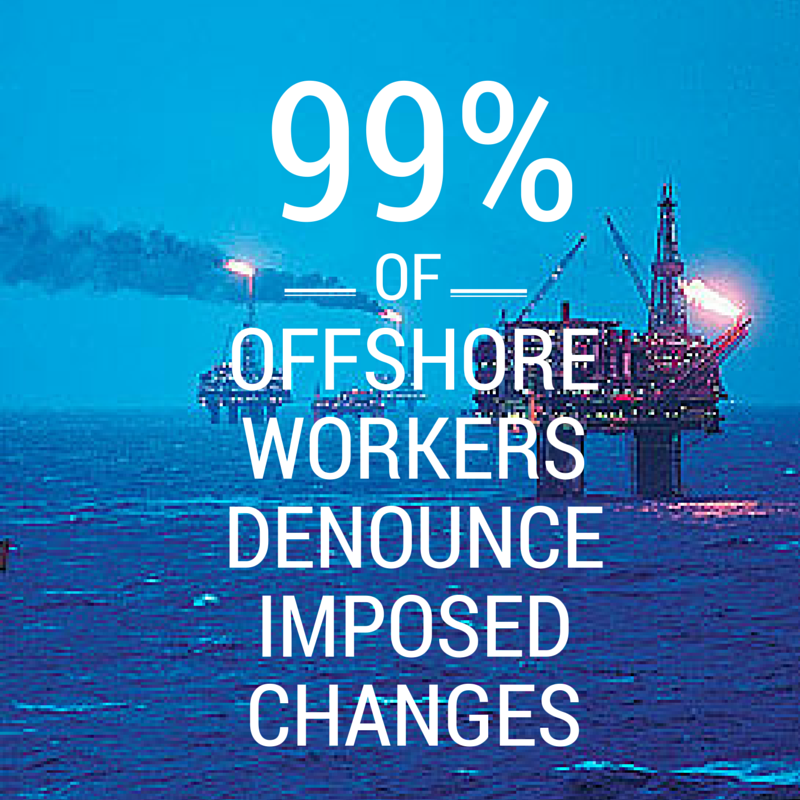 Many also have Health and Safety concerns about the changes happening offshore. All information will be completely confidential if you wish. Following Unite’s recent consultative ballot and further talks with the OCA, Unite has made it clear to the employers that as a result of their attacks on our members it cannot be business as usual. Unite has formally registered a ‘failure to agree’ with the OCA. Their member companies have been left in no doubt that Unite, on behalf of our members, do not accept the contractual changes companies have imposed. Further talks between the recognised unions and the OCA will take place before the end of May and your union and your representatives will approach these talks constructively. 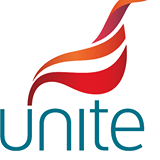 However as some members have already had changes imposed on them, Unite are taking steps to protect any legal right our members may have to challenge these changes should that be necessary. Our legal team have composed a letter which you must submit directly to your employer and then notify your union of your submission. You can get a copy of this letter from any unite organiser or download and print here. If you have had contractual changes imposed on you or you have accepted changes under duress Unite recommend that you notify your employer as soon as possible after the change has been imposed. This is to ensure that any legal right which you may have is protected. At this time we are also preparing to be ready to take industrial action. Due to the restrictive anti-trade union legislation that has to be overcome before lawful industrial action can take place we must ensure that the significant legal restraints placed on your union are satisfied. Be in no doubt oil companies will use all legal means at their disposal to challenge any industrial action ballot. This will take time and we are asking you to be patient. An industrial dispute must come to an end and this can only be achieved by a negotiated settlement. Unite continue to work toward this goal however Unite would like to reinforce that any agreement must be acceptable to you, our members. It will be our members who have the final say in any proposal made by the companies.